We will not sell your personal information nor share it with others. You may ask us to remove from or amend your data on our computer. We disclose personal data when the law requires, and if we must (a) conform to legal procedures served us; and (b) protect/defend our rights, web site, and/or users. If you intend to use our web site in an unlawful manner or to damage other users, we reserve the right to prevent, remedy, or act on such conduct. We may disclose as well the information we have gathered from our web site. K12 Philippines uses collected information because of a few reasons. 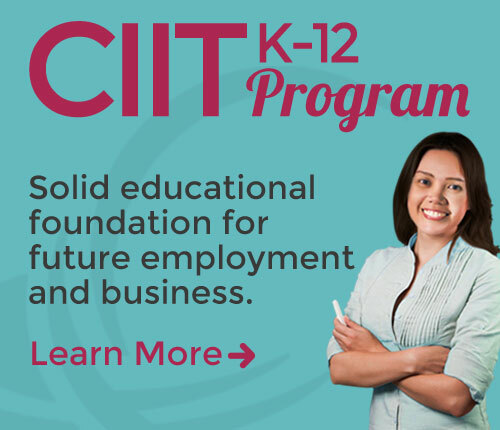 CIIT offers links in good faith to other web sites to give information. We disclaim any responsibility for the materials placed on any web site linked to ours. Our web site stores no data. This aims to restrict us to identify individual users per their permission. Cookies used by this web site are on a per session basis or are for maintaining user preferences. We do not share cookies with any third party. By using our web site, you agree that we can place cookies on your device. We may use servers from third party hosting vendors we contracted to save your data. We are not liable for any damage due to your negligence because you have the sole duty to protect and secure your privacy and to make proper actions. Keep your username and/or password to yourself. Log off when you finished visiting our site. Install and update proper anti-virus software. We appreciate your visit to K12 Philippines!